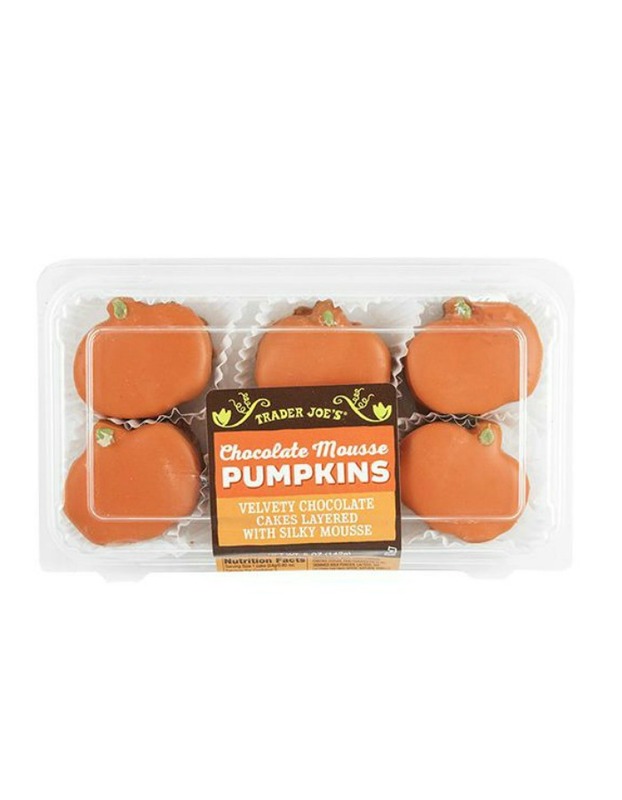 We could all use more good news these days, so here's something to lift your spirits: Trader Joe's has started rolling out seasonal fall items, and you know what that means, right? All the pumpkin! 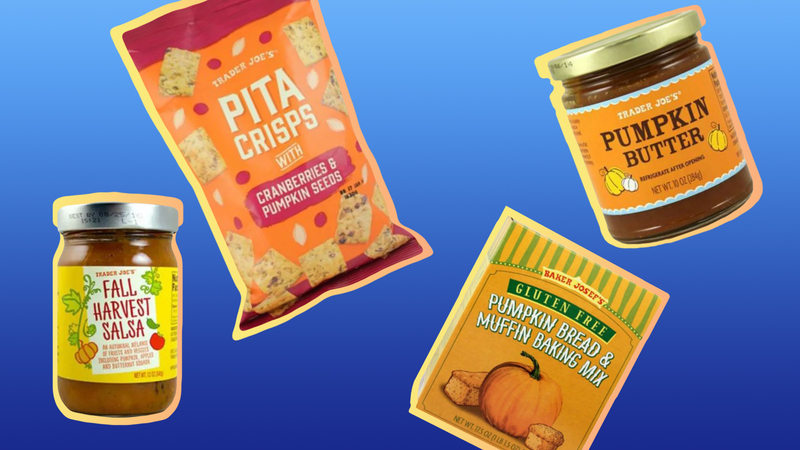 Pumpkin beverages, pumpkin snacks, pumpkin meals — the popular grocery store pretty much has everything your pumpkin-loving heart could possibly desire. 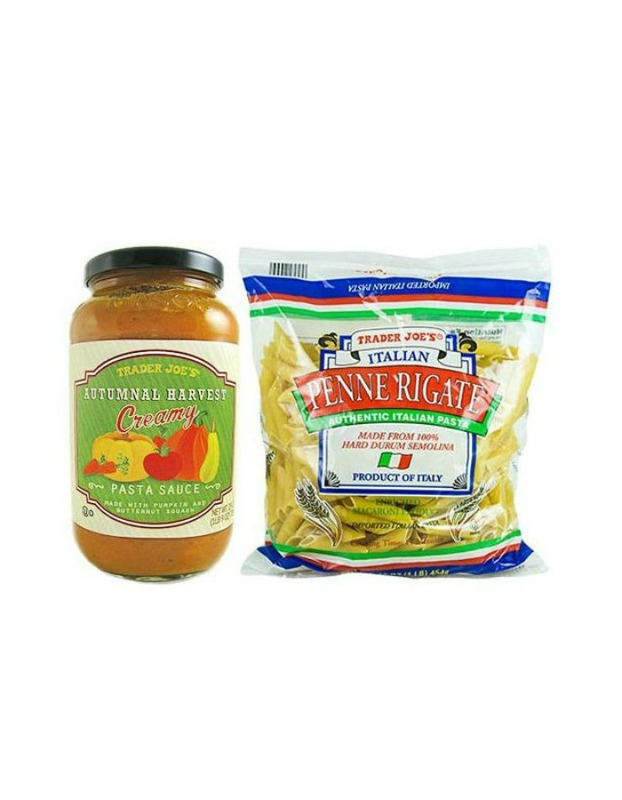 From staples like pumpkin butter to surprising finds like pumpkin-infused salsa, there’s something for everyone on this list. Call us basic, but we’re ready to paint the town orange, so to speak. 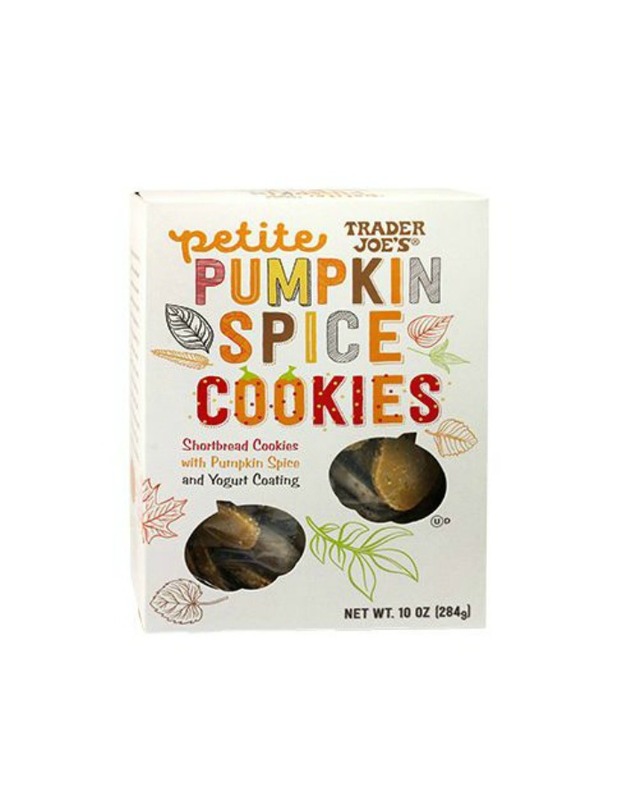 If you head to your local Trader Joe’s in the near future (like we fully intend to), prepare to blow a significant portion of your grocery budget on some of the following pumpkin-flavored offerings. And just remember: This might just be the tip of the autumnal iceberg. 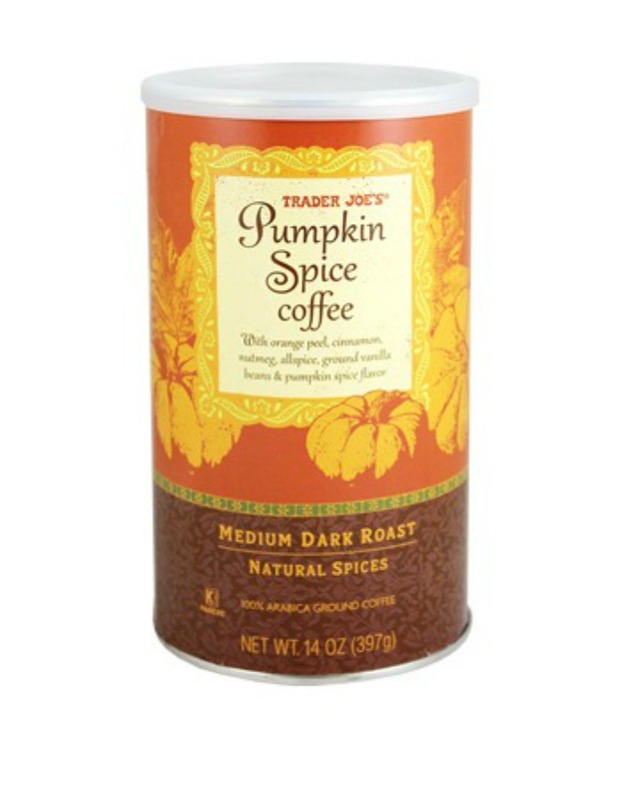 Trader Joe’s could still have a few more pumpkin-flavored tricks up its sleeve for the fall season. Your noodles need a little fall love too, and what better way to show them than a sauce filled with pumpkin. Chocolate mousse and pumpkin together in one precious bite? Um, yes, please! 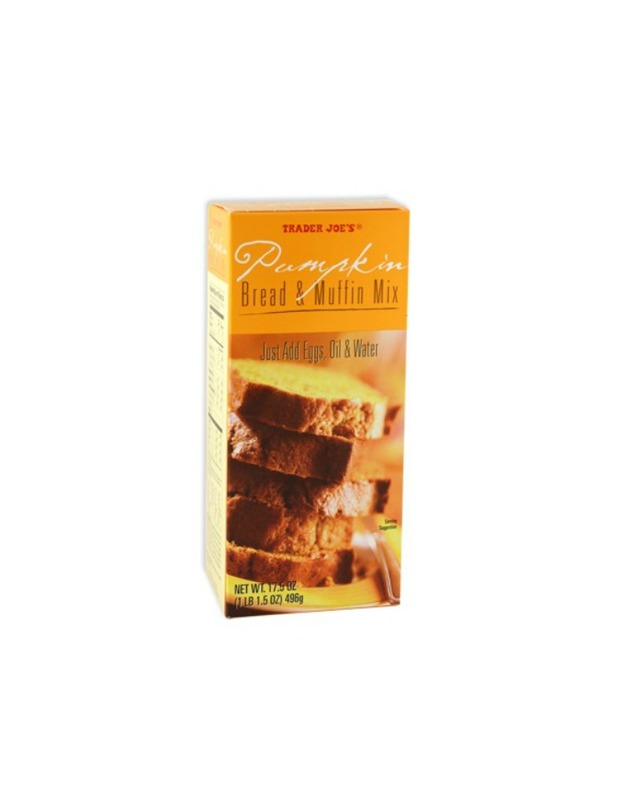 Hailed by Trader Joe's as one of the pumpkin products that started it all, this pumpkin bread is a fall classic. 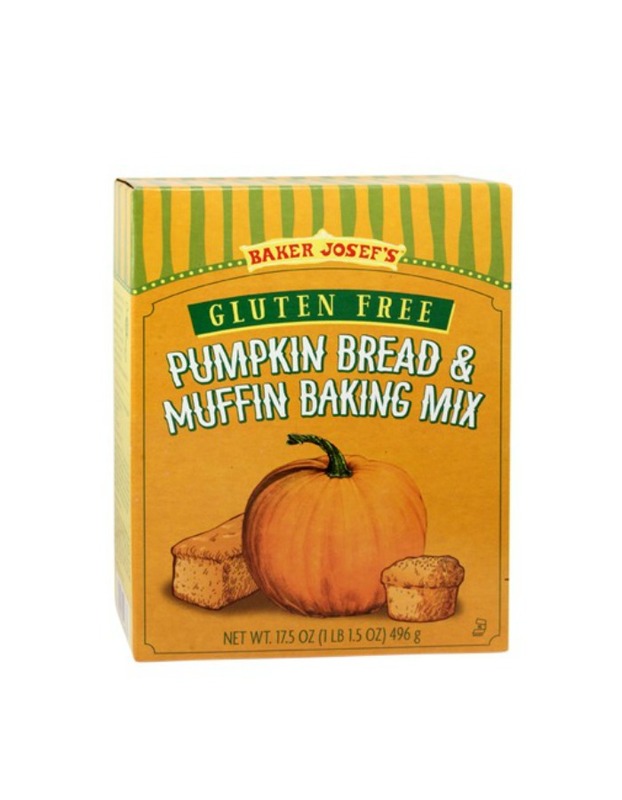 This version of Trader Joe's classic pumpkin bread is ideal for those who suffer from gluten sensitivity. 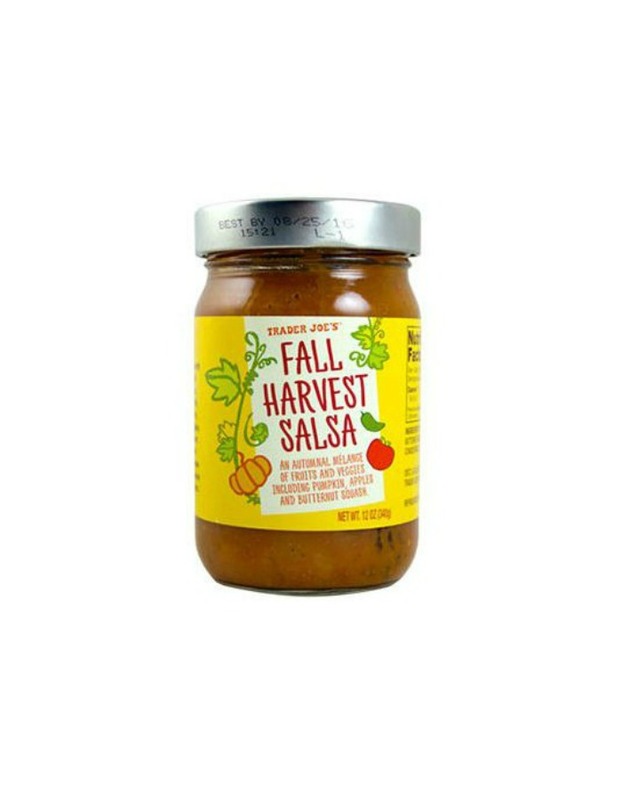 Pumpkin, apples and butternut squash blended together to make salsa? You betcha! Carrots, celery, sweet potato, orange, ginger and turmeric keep pumpkin company in this cold-pressed juice. 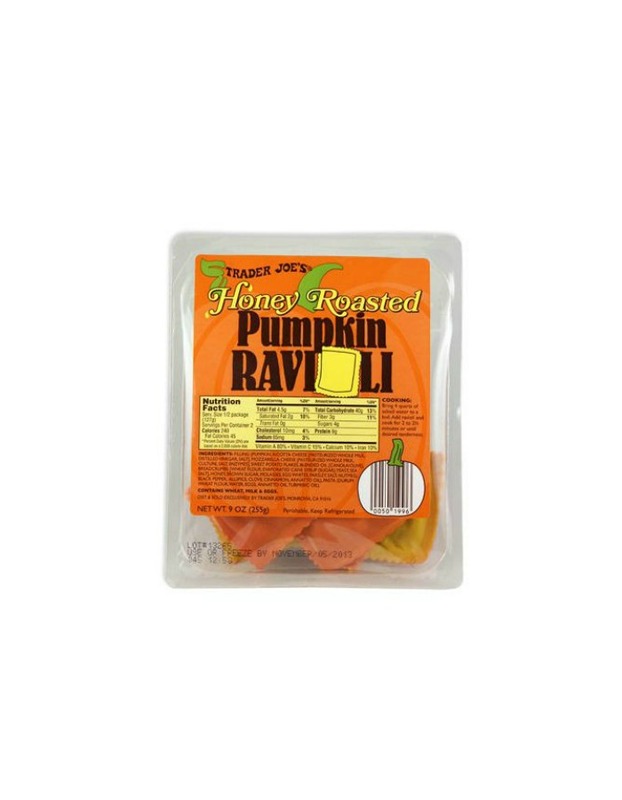 Honey-roasted pumpkin ravioli is the kind of comfort food that makes our autumn-centric taste buds sing. 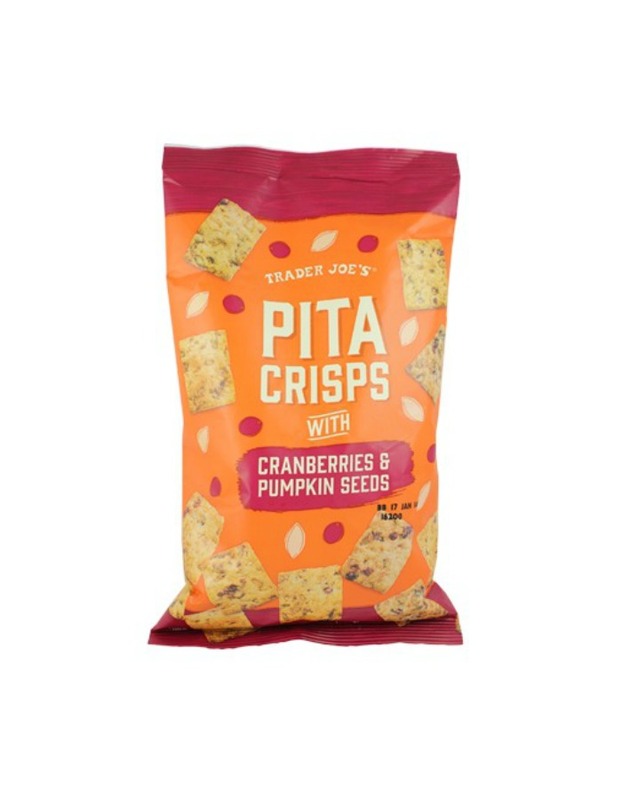 Thick-cut and crispy, these pita chips with cranberry and pumpkin will satisfy any savory craving. 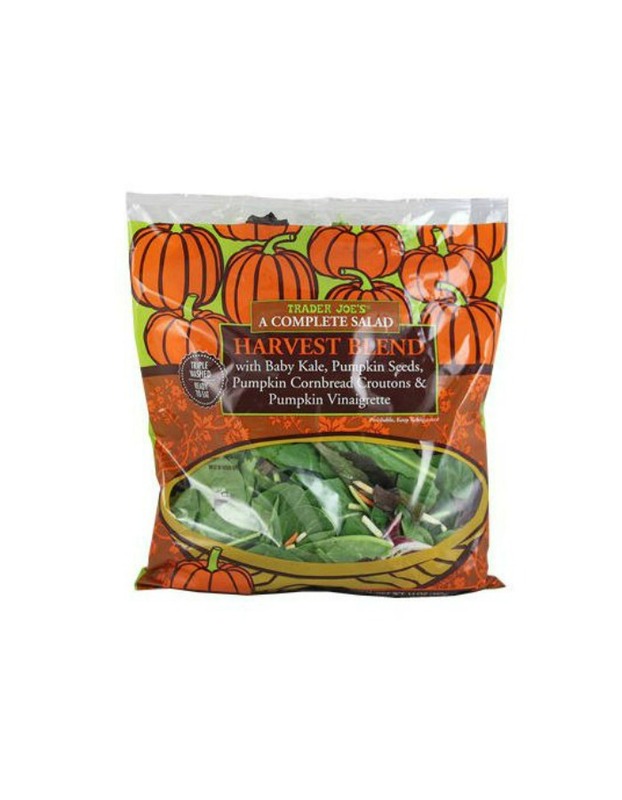 With pumpkin seeds and pumpkin cornbread croutons, Harvest Blend salad mix packs a nutritious and tasty punch. 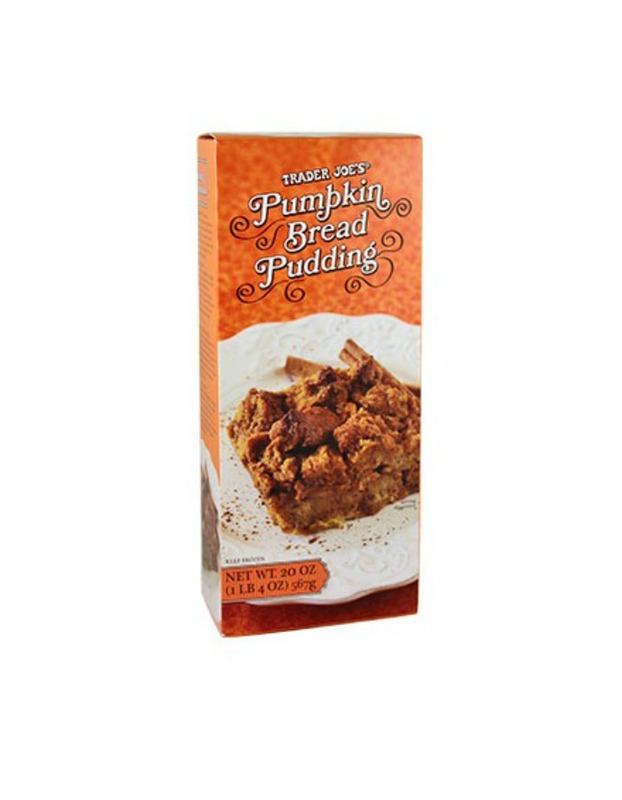 Breakfast, brunch, dessert… heck, we'd have pumpkin bread pudding for every meal if we could. I mean, it's pumpkin cheesecake. 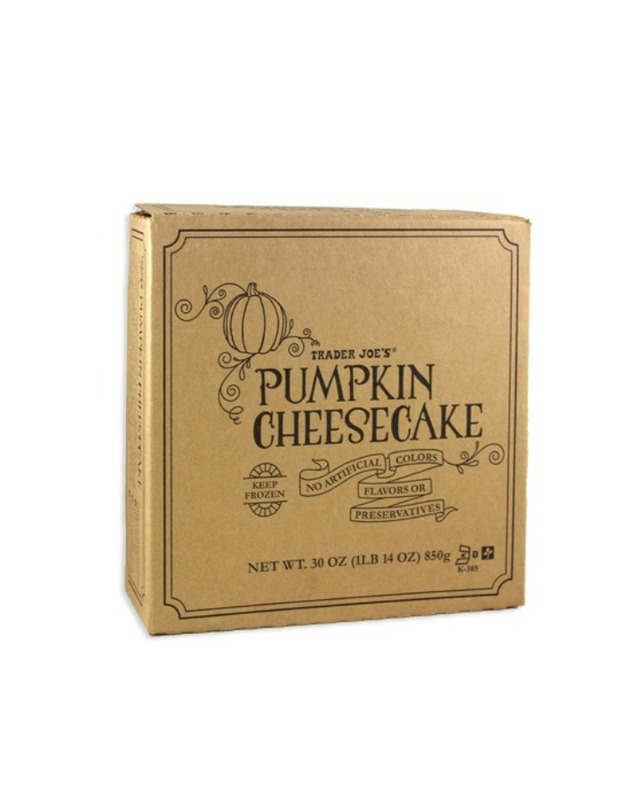 It's pumpkin, and it's cheesecake. This one's a no-brainer, guys. 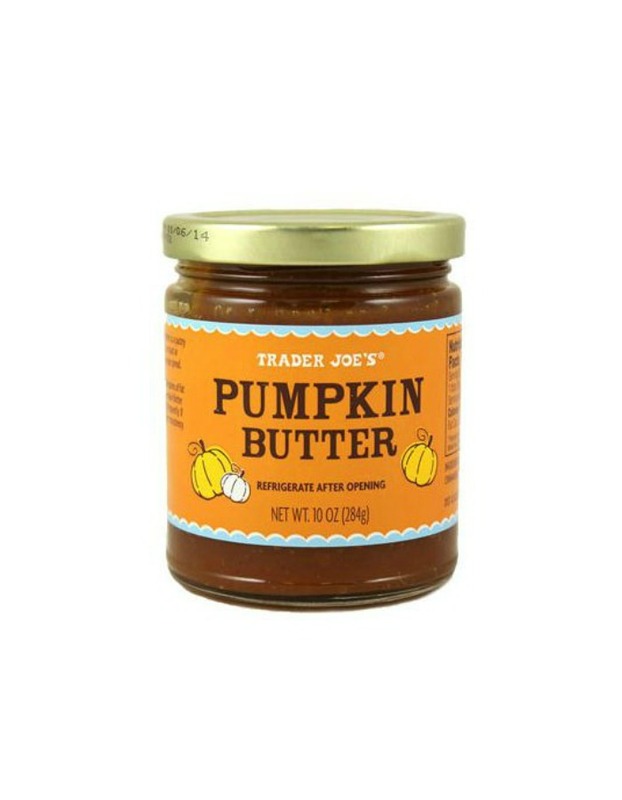 Fall ushers in the season of pumpkin butter, so prepare to spread this sweet stuff on top of everything. 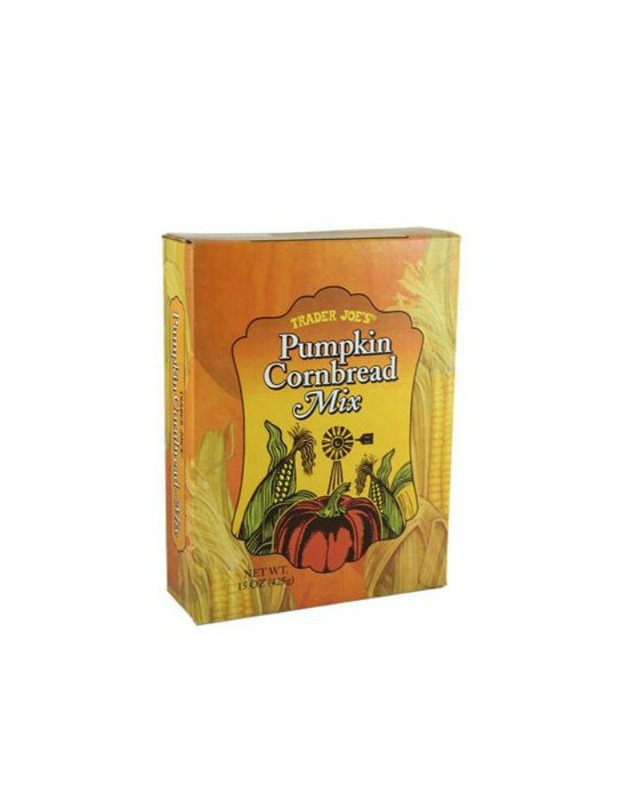 You haven't really lived until you've tried cornbread with wholesome pumpkin goodness baked in. Move over, green tea mochi! 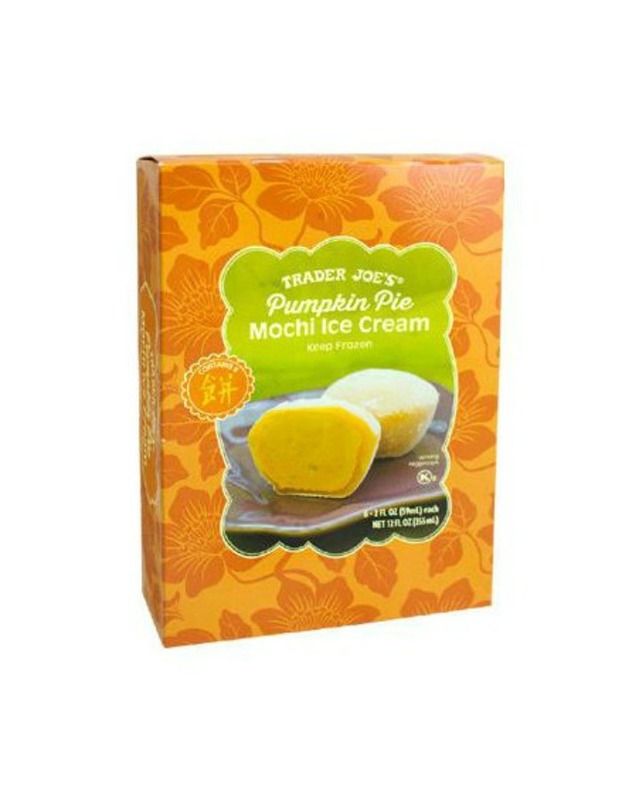 There's a new mochi ice cream in town, and its name is pumpkin. Yum! 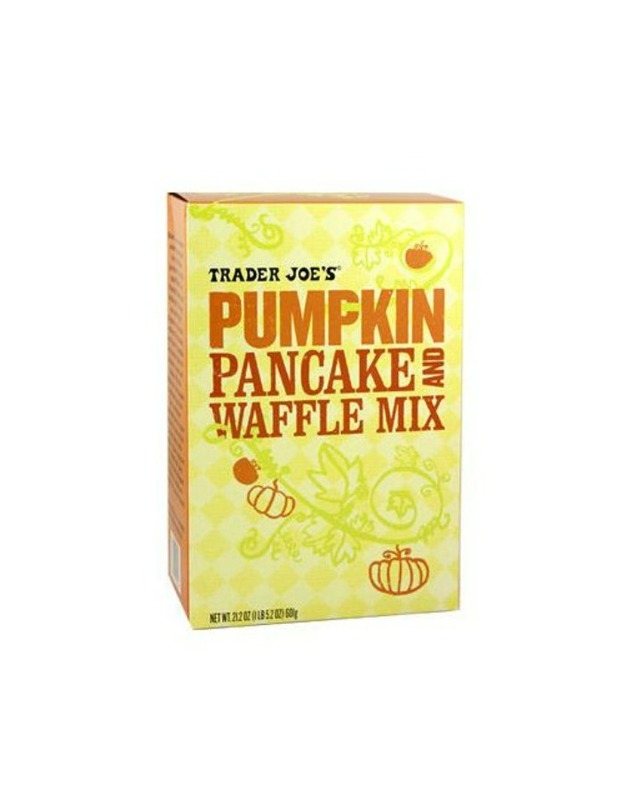 Can you think of a better way to start your day than with a buttery stack of pumpkin pancakes or waffles? 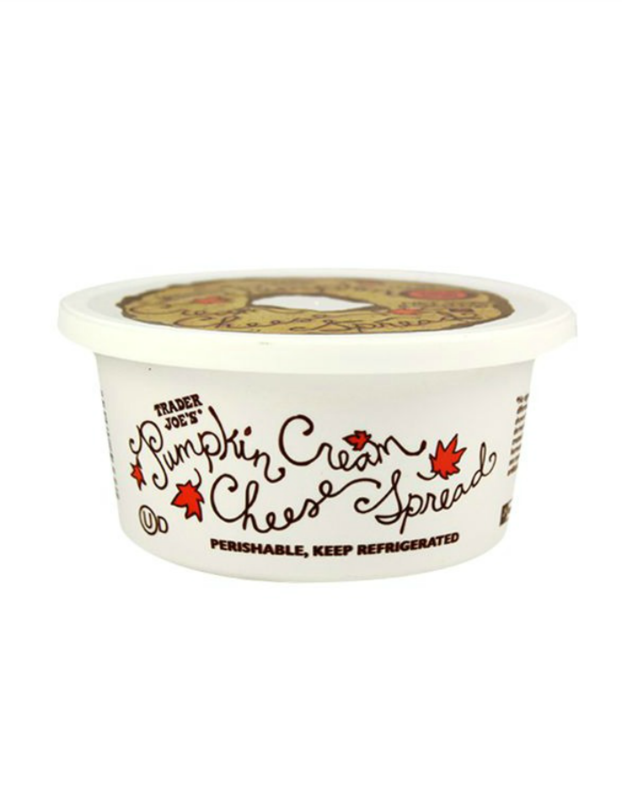 Would it be weird to put this pumpkin cream cheese on everything? Asking for a friend. 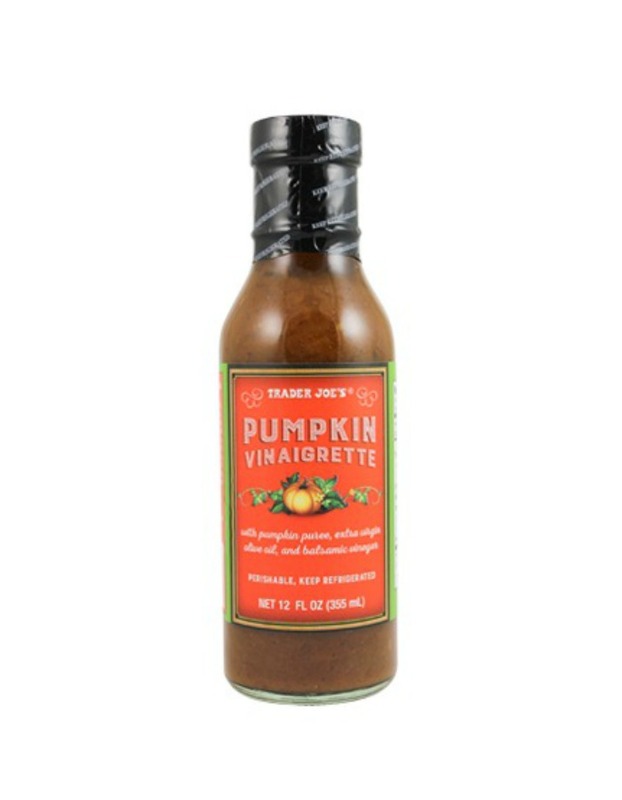 If you're feelin' fall-frenzied, feel free to use this pumpkin vinaigrette over the Harvest Blend salad mix. 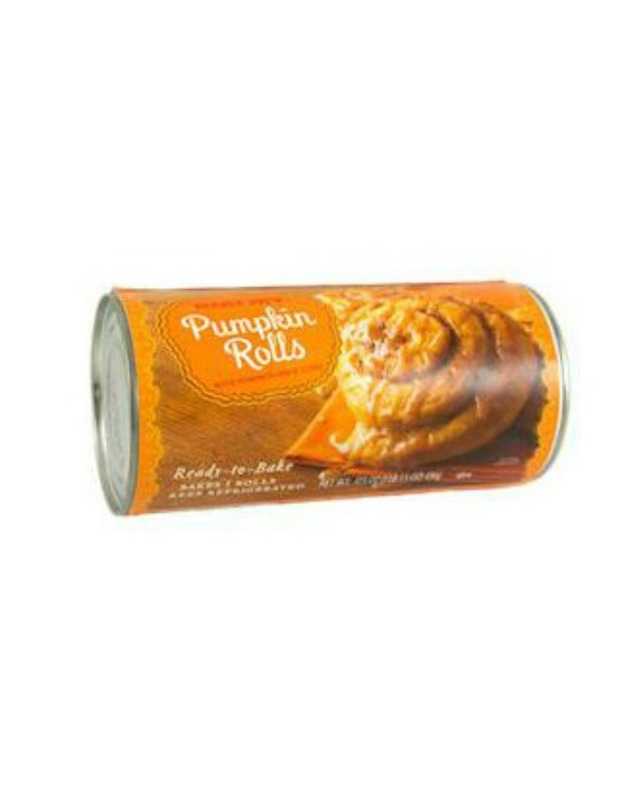 If a cinnamon roll and a pumpkin had a love child, this would be their absolutely delicious offspring. Shortbread plus pumpkin plus a yogurt coating equals one tasty sweet treat with a fall twist. 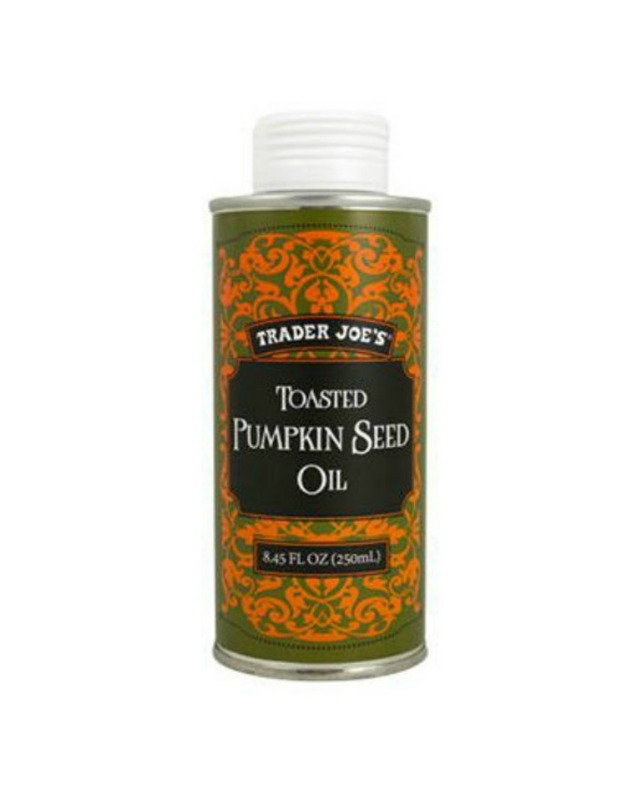 We can't really think of something that wouldn't be improved by the addition of this toasted pumpkin seed oil. 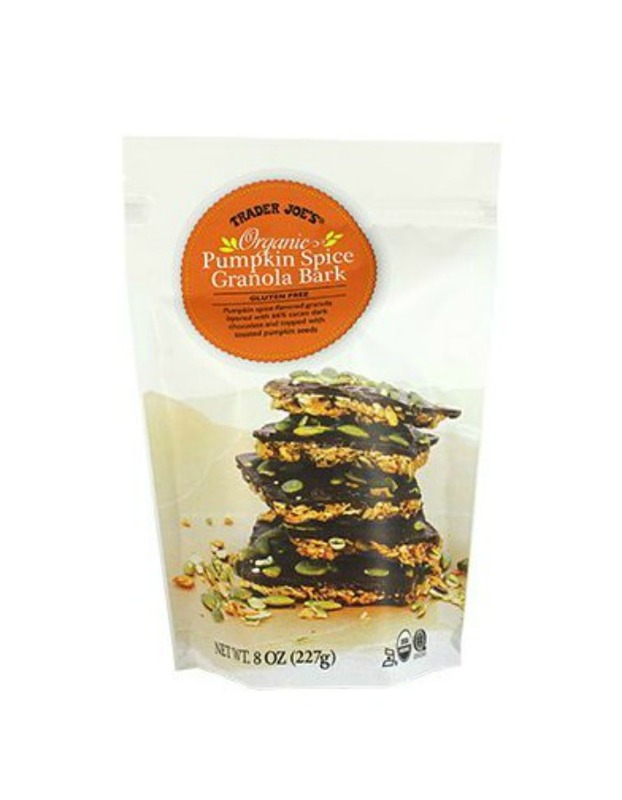 Trader Joe's pumpkin spice granola bark is both healthy and yummy, making it an ideal grab-and-go snack. 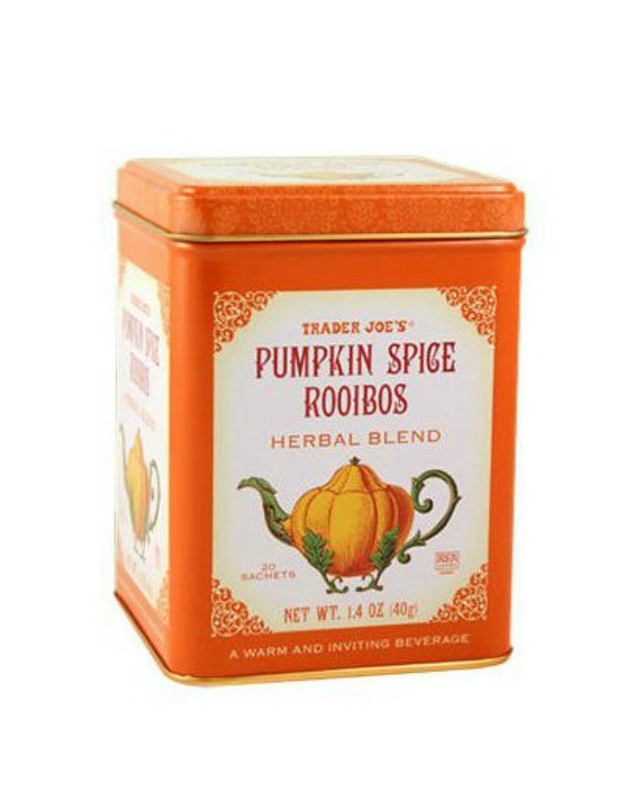 Nothing sounds more appealing right now than sitting in front of a cozy fire sipping pumpkin spice tea. 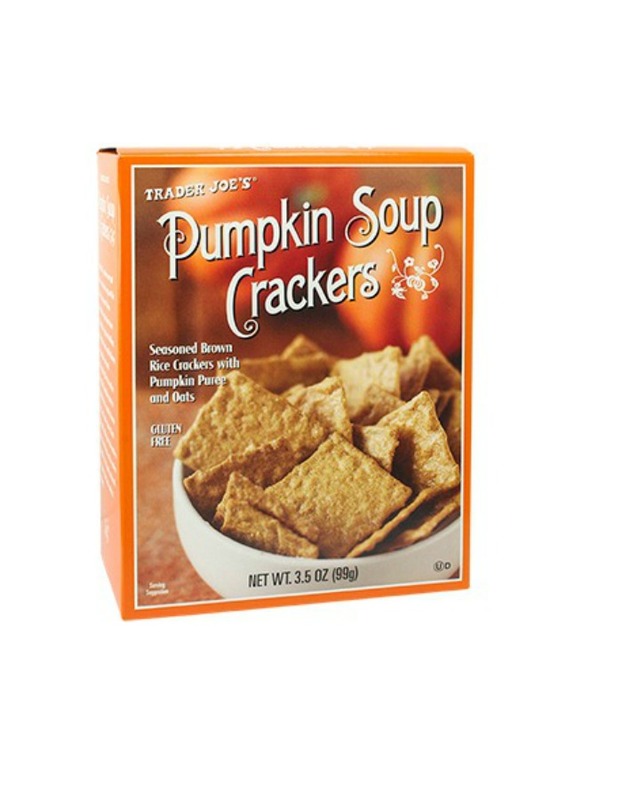 Pair these pumpkin soup crackers with a bowl of warm butternut squash soup for the perfect fall meal. Brazil Cerrado arabica beans spiked with actual spices (think cinnamon and nutmeg) make this blend. 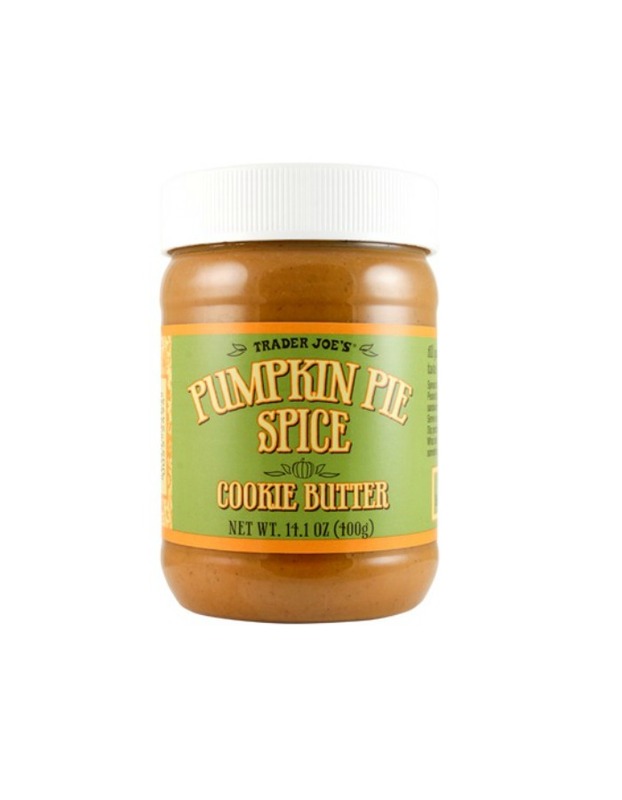 The only thing better than Trader Joe's cookie butter is Trader Joe's Pumpkin Pie Spice Cookie Butter.